We are Community Greetings and our mission is to be your good neighbor. When you have lived in one place for a while, you have your own network for the goods and services you need. When moving into one of our neighborhoods you can turn to us when you need something. We provide you with the information and advise you need to make it through some of life's most challenging changes. Whether you're new to town or an established resident who's needs have changed, you surely have questions. And we'll share them with you for FREE. Just click onto the town below. 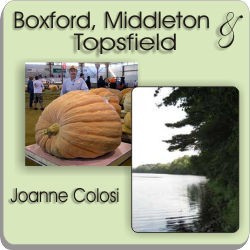 Thank you so much for welcoming my family and I to Boxford. I am thrilled that you took the time to gather so much information for me. We will have plenty to read this evening. I will be using quite a few of these awesome coupons, and offers right away. I had no idea that the Tri Town offered so much to us!! Community Greetings continues to be the most successful advertising for my business. It gives me a great opportunity to meet new clients and help them with their window treatment needs as they settle into a new home. It is so rewarding for me to meet new people and build lasting relationships within my community. It is a pleasure to do business with Joanne. She is friendly and professional – the perfect person to represent my business. I highly recommend Joanne from Community Greetings! 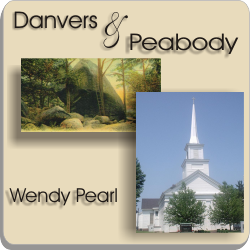 When we moved to Danvers a few years ago, we really appreciated our Community Greetings visit from Wendy Pearl. Not only did she have all the appropriate civic info. we needed but she also came with many great referrals to businesses in the area. I remember feeling comfortable with the referrals because I knew they came from personal experience and knowledge and were undoubtedly sincere." We can't say enough about Community Greetings! Wendy & Joanne go above and beyond. We get incredible feedback from their clients/our customers. The homeowners are thrilled to have great resources when moving to a new neighborhood, having a new baby or newly engaged. We would highly recommend Community Greetings to anyone! Call Wendy or Joanne and you will get nothing but professional and personalized attention!